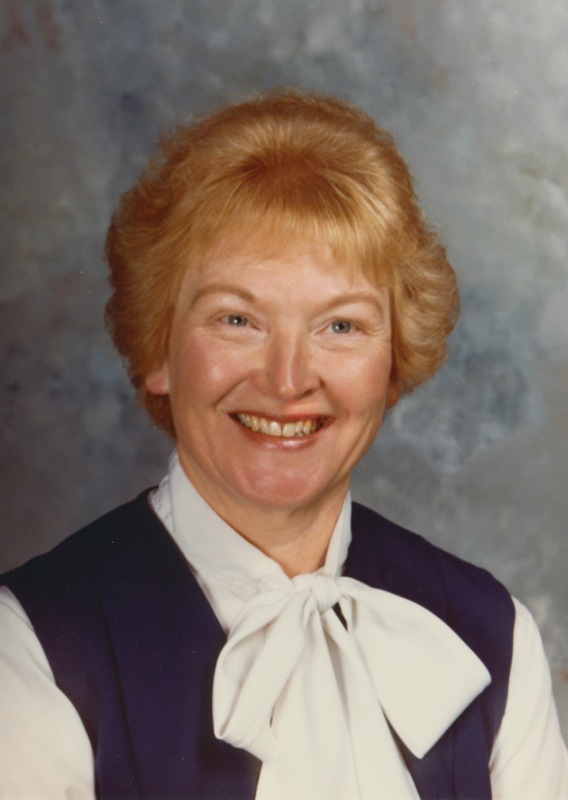 Beloved wife, mother, and grandmother, Susie Johnson Walser, died January 10, 2019, in Mesa, Arizona, where she had lived for just over three years. Susie was born on September 11, 1932, in Lovell, Wyoming, to Samuel Alonzo Johnson and Susannah Hopkin Johnson. She had two older brothers, Marvin and Delbert (Bud); one older sister, Myrna Smith; and a younger brother, Fred. She spent her earlier years in Lovell, until the family moved to Roundup, Montana. Susie learned to work hard helping her family at home, on the ranch, and in their store. Before she graduated high school, they had moved back to Lovell, then to Billings, MT, and then to a ranch community north of Billings. Susie attended and graduated from Brigham Young University in Provo, Utah, with a degree in Elementary Education. While attending college she was a member of the BYU Acapella Choir, sharing her beautiful voice in many venues, including two trips to Europe. She was often asked to solo for special occasions and loved music her entire life. After graduation she taught 1st grade in Bakersfield, California, then in Salt Lake City, UT. In later years she taught 5th and 6th grade in Gunnison, UT. Susie met and fell in love with Kenneth Walser and they were married for time and eternity in the Salt Lake Temple on March 2, 1955. They were blessed with five children, Jon Kenneth, David Kimball, Neal Johnson, Alice Renee Glidewell, and Catherine Jane Kellner. They have lived in Utah, Alaska, Washington, California, and Arizona. Susie is preceded in death by her sweetheart, Kenneth; her parents; and her older brothers, Marvin and Bud. A viewing will be held at Bunker’s Garden Chapel, 33 N Centennial Way, Mesa, AZ 85201, on Tuesday, January 15, 2019 from 6:00 to 8:00pm. Funeral services will be held in Manti, UT, where Susie and Kenneth spent most of their retirement years. The service will be at 11:00am on Saturday, January 19, 2019, with a short viewing from 9:30 to 10:30am, at the Manti Tabernacle, 90 S Main St, Manti, UT 84642.